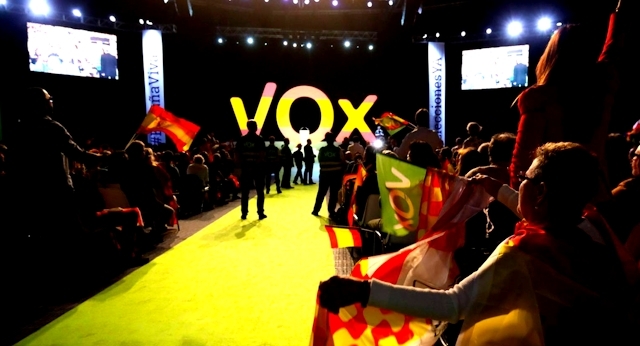 On Sunday, more than 9,000 sympathizers showed up at Madrid’s Vistalegre Palace for the biggest show of force to date by Vox, a Far-Right Party founded just a few years ago. The Madrid event follows similarly successful events in Valladolid and Zaragoza. 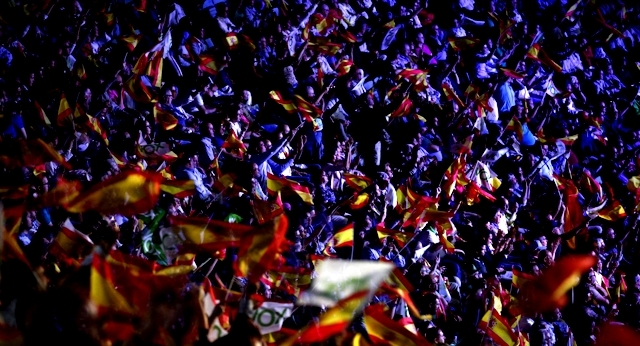 If so, it would signal a change in Spain - where politicians have often boasted about the absence of a far-right party, in contrast with other European countries where xenophobic movements have made inroads. Spain still remembers the days of Franco. Spain is under threat from all sides. Patriots need to rise up to defend the Spain against this onslaught. The precise same words and tactics we've seen used in Germany with AfD, Italy with Lega, have been lifted wholesale as a template - and dropped onto a nation who only a few decades ago escaped the decades-long Fascism of General Franco. The speakers at the rally told little of actual policies, simply echoing their fellow European Hard Right idols, generating fear, driving anger . Among the few policies specifically mentioned were "deporting immigrants" and "taking back our national sovereignty". They even ended with "Make Spain Great Again."